“Foundation” – When a scared, emaciated young boy is found in the Arizona desert and another boy winds up missing, the BAU begins searching for the kidnapper as Morgan, reaching into his own scarred past, tries to bond with the found child. Wow - I can hardly wait! Plus, I'm first - that's cool, too! I can't believe the writers took an awesome scenario of an awesome Morgan episode with the awesome Morgan, and completely dropped the ball. They are so terrible this season, it's becoming unbearable. Ed Benero would have done this justice. I hate to say it, but it's gone to ruins since Erica took over. I liked this episode, because it was a different sort of episode than we typically see. We didn't actually know FOR SURE who the unsub was until the episode was nearly over. There were plenty of signs pointing to the unsub as the team worked with a woman who had a fuzzy memory of her father committing a similiar crime. But there were enough doubts initially so the audience didn't know who the unsub was initially. There was very little unsub in fact, and it was more focused on the team and the victims. Morgan and Emily were heavily featured in this episode. Morgan spent his time with the victim trying to get him to talk, and he was assisted by JJ. Up until this season, we've seen very little of those two paired together. Now we have this episode on top of the revelation at the end of "Closing Time" that they've been training together. It puts their friendship in a whole new light. Emily was partnered with the daughter who had the memory of seeing a boy in chains 30 years prior. Based on past experience with recovered memories, Rossi was understandably skeptical of her at first, but she proved right in the end. Emily did most of the heavy lifting with this woman, gently coaxing memories out of her that supported her initial memory. There was enough profiling talk, written by an actual behavioral analyst to keep it interesting. Clearly Jim Clemente knows what he is talking about, since he does this for a living. I liked the fact that this was so victim-focused, and we haven't seen this personal side of Morgan on full display since "Profiler, Profiled." This was a really good episode. Heartbreaking and painful, but a really good episode. Sorry anonymous. don't know what standards you use but I thoroughly enjoyed the episode and thought Shermar's part was great.to each their own. This episode was entertaining for me. The best in a long time. Most reasons are already mentioned by LaShawana. I only wanted to add, Jim Clemente did this for a living (he's no longer w/the FBI) and his real-life experiences were evident and flowed into this ep. He's a lot in his backpack he has recourse to. Congrats CM it feels like you're back to the roots. This was a really good episode. Loved that we didn't get a day in the life of serial killer. Loved the uncertainty about his guilt. The suspense was awesome. Not knowing whether the woman was having false memories or if they were real. I even liked watching Emily almost guilt her into going there. Getting to see Morgan and JJ work together was excellent. I agree with LaShawna (previous poster) about how we are seeing them in a new light now. Before all we really got to see of them was when Morgan went Doubting Derek, questioning her choice of cases. It was great to see that he does actually respect her work. It was also good to see him connect with her personally,usually they only show that with Hotch or Garcia. If this season has more episodes like this, I might not be ready to give up on it after Emily leaves. I liked this episode, the story was ok, what kept me watching was Hotch, Emily and JJ, they were great and i loved JJ talking spainish, and showing how much she cares, loving JJ. I don't see this as a Morgan episode, his part in it bored me, the writers did just what i thought they would, they turned him into a hot head who went after the unsub and lost control and bashed him. His character is getting worse, he was better in seasons 1 to 3, i really like him then. Thank goodness for Hotch Emily and JJ this episode, they really carried it. To the above Anonymous, I don't see this as a Morgan episode either. But his part was boring???? Getting the boy to talk, and to trust him??? We are all entitled to our opinions, but that sounds like some Morgan bashing. Brilliant episode! One of the best this season. Usually I find Morgan melodramatic but this episode he was very good. I thought Hotch as usual gave a strong performance. The storyline was excellent and well told with suspense and emotion unfolding in right measure. Yes definitely one of the better episodes this season. Keep rolling CM! I thought this was a great episode! Very reminiscent of CM of earlier seasons - great job!!! I think everyone had equal time, profiling was excellent and the flow of the episode was really, really good - very happy with this one! I feel like CM is back on track with this episode. Jim Clementi did a really great job with this one. Thanks for a wonderful Wednesday evening! And...didn't Rossi look HOT all dressed in black?!!! First episode I have watched in a long while and I thought it was great. This episode was the best in 1 1/2 seasons. The profiling was good and the main point of interest. We did not know the unsub in the first 2 minutes and no personal stuff we don't need. The end did feel a little rushed, so to wrap up all loose ends. Reed, JJ, Hotch, Emily, Rossi, Garcia and Morgan did great in being true to their personalities. Hoping that CM only continues to go up from here. Jeez, guys (anons), I'm not sure you were watching the same show as me. I liked it alot and thought it was quite compelling. I thought the interaction of Morgan with the boy was appropriate and effective, and loved seeing he and JJ work together - that's rare. Found it suspenseful and fast-paced - couldn't believe how quickly the time went! At the 9:30commercial break, I was surprised it was already half over - that's how engrossed I was. And, yes, Rossi looked very handsome...as did Hotch (his hair looks dif -shorter?) 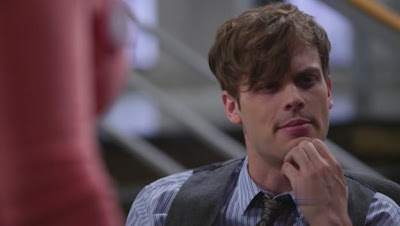 and Reid (his hair is dif every epi - these days, he looks like he just rolled out of bed with those tousled curly locks!) and Morgan/hunka-munka looked so good as he worked with the boy - love that sensitive side of him. His violent attack on the unsub at the end was predictable but natural for him, not because he is a hot-head but because of his prev molstation experience. JMHO. I would watch it again and prob'ly will this wkend. I wept - this was stupendous - beautiful, poetic, heart-wrenching and well -nigh perfect. Easily the best episode of this season, and imo one of the best of all times. Every member of the team felt rooted to something deeper than the situation, deeper than the circumstances they found themselves in. The tremendous focus on the victims/ the survivors/ the winged creatures/ Morgan - exquisite. I'll probably have more to say later when i've stopped bawling my eyes out. It was creepy, it was a whodunit, we got a tie in to someone's past that felt organic and not slapped on, Morgan was amazing, JJ was great, everyone's part felt natural and real, everything just fit together perfectly. This was one of the best of the season! This is what CM should be! I agree with most of those who have posted already that this episode was really good, and seeing Morgan with this boy was so heartbreaking. Morgan and Angel went through the same trama at the same age having a grown man take advange of them and using them for their own sexual satisfactions. This is why pediphiles need to be stopped, and children need to speak up about them. Eventhough Angel had a lot more done to him with the bite marks, being chained, and maybe hardly fed but what connected Morgan and Angel is what they felt like after it happened and the feeling of being alone.I wish that Criminal Minds would be more like this every time and hope that it continues for the rest of the season and into season 8. This is what it should be about the cases, the profiles and the team working together to catch the unsub, not all the extra personal stuff that Erica Messer has been forcing on us. I think that she's trying to "fix something that wasn't broken" when she should just "leave well enough alone". THIS is the Criminal Minds that I know and love!! I am so over the top excited to find myself watching the first real Criminal Minds episode in such a long time...Please all other writers take note....this is how you write for CM. I really loved this episode. I really enjoyed JJ and Morgan's scenes together. I think they're friendship is really good. JJ speaks spanish? I loooove her. And when she talked with Morgan at the end, I thought she was absolutely lovely and did a great job! Emily did alot with the daughter, and I thought that was great. She was really involved and i loved that. Emily, Hotch, Derek and JJ were really integral characters in this episode and it was truly amazing! The case was heartbreaking but interesting, and well written. Congrats to the cast and writers, for a really good episode! You're funny! Clearly your comments are a joke! Now that i've gone through a box of tissues (could be two), let me reveal my masochistic response to CM and why this one worked so well for me. So there i was sobbing and saying "oh i loved it loved it (sob) loved it (sob)" to hubs and i realised that CM calls out to me in the same way my favourite, SAD books do. That's it - the more tragic the undertone, the more grounded the characters seem, the more connected to their dark past, the more stark that their survival and ultimate victory seem, the more i enjoy CM. Loved the lack of humour, loved the slow slow pace (and just how good was Angel's first reaction to Morgan in the rolling of the coin and in his v first words? ), the little to no unsub, the daughetr's whole life falling apart without even the solace of false memories, and Morgan. And JJ. And Prentiss. And Hotch. There was less Rossi, Reid and Garcia, but i loved all their little contributions to the case. The old-timers' contribution made me smile a bit. Third viewing over - may i just take a second to talk about something deep? Just how good did they look, hmm? This was an awful episode. One of the worst since whatever one that was a long time ago with the Russian Mob. Seriously...bad episode. Why do you feel it was bad, Lee? Yes, that's why i asked - it's not that we're talking about our least favourite ice-cream flavour. Yes, we are entitled to our own opinions. THE VIEW SOMEBODY TAKES ON A CERTAIN ISSUE, ESPECIALLY WHEN IT IS BASED SOLELY ON PERSONAL JUDGEMENT. I loved this episode, love this show. I also like the difference of opinion from others, weather there positive or negative. If a person wishes to go into detail to explain why they liked or disliked something or someone that's their choice, and the same for those who choose not to. I think everyone opinion so far, for or against the episode has been great. That's my own personal opinion. Morgan's episode are always a huge yawn, IMO. I missed most of this episode due to getting home late, and I find myself not rushing to rewatch it online. That hasn't been the case with any other episode this season. Just this one. Sometime we take for granted the great cast of CM. Paget Brewster is an excelent acress, this ep another confirmation for this. We will miss her talent next season. Hope she is not replaced, not because of not loving any new character, because it will be almost certain that any new actress cast will not be as talented as her. This wasn't a Morgan episode!!! Stop hating!! I agree with GB on this. I know this isn't the thread to say this but I just read that 7/20 is another Morgan episode. I am not anti Morgan but it seems that the episodes are simply not evenly distributed anymore. 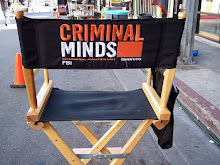 There seems to be very little Reid, Rossi and even Hotch (except for the Beth and Jack scene.) I truly miss Reid and it seems they have just stopped writing for him (with the exception of 1 episode a year.) I miss Hotch being the team leader not just a father and a boyfriend. @GB I knew my comment would draw such a response but I wrote it because I meant it. If you review the episodes this year you will find everyone has not been able to contribute. That is my point. My interest in this series is in the characters and what they bring to the profiles. If they are interchangeable and relaceable for you that is fine. I feel differently and said so. Hotch had the Foyet arc in season 5, Prentiss had the Doyle arc in season 6 and Reid had several two parters over the last seasons and many other episodes dedicated to him. It is about time that other characters also get "their" storylines. And with "their" storylines I mean storylines about a character that is not a subplot of somebody elses storyline. So I was happy when Thomas Gibson said in two interviews that Morgan would get a nice storyarc this season. Only it does not look like a storyarc yet to me because he only has had one episode dedicated to him if you count "Foundation" as a Morgan story. 7.20 will only be the second Morgan episode. That does not really sound like a storyarc compared with the Foyet arc that had 10 episodes or the Doyle arc that had at least six episodes. @the anon who wrote this "...I never thought I would watch a year of Criminal Minds where there was more Garcia than there was Reid"... I bet Garcia fans see this quite differently and would be happy if there was more Garcia than Reid. I would add “The Longest Night, Parts 1&2” to Morgan-centric episodes and add any episode which had Ellie to that arc. I agree, though, nobody has had a Foyet (Foyet “appeared” in 4 epis I think? )—that to me was perfect pacing. While Revelations has had a lasting impact, even to this season, the intrigue/central mystery can't match the 'tenure' of Foyet’s from “Omnivore” to “100”. How do you calculate 10 episodes, though? Blue Sunflower – curious - which episodes do you consider “Morgan’s episodes”? I think "The Longest Night 1&2" was not the Morgan arc is was supposed to be. When they found that AJ Cook was fired they changed the storyline because they wanted to give JJ an heroes exit and JJ had to save Ellie. From what I got of some of the interviews before "The Longest Night", specially an interview with Erica Messer and another one with Matthew, I thought in the original planned story arc they would have let Ellie die and Morgan would have had to live with it. That would have been a profound story arc. But since JJ saved Ellie all what was left of the arc were some cute scenes between Morgan and Ellie who were IMO more about the little girl than about Morgan because we already knew that Morgan cares about the victims, specially when they are children. I see a lot of Morgan in those two episodes and enjoy them as Morgan episodes regardless of what the intentions of the showrunner were (they intended Hotch to be a blonde and blue-eyed Mormon; and the JJ/Rossi scene end-S6 was supposed to be JJ/Hotch - so intentions, while ineresting, are ultimately useless to me). "Our Darkest Hour"/"Longest Night" becomes more of a parallel when i hear Morgan say to Hotch "we were there for you, this one is mine", or words to that effect. Morgan scenes with children are fabulous - my favourite is in "Children of the Dark" and this one is right up there. Actually as an episode i want to wrap it up, tie a little ribbon and hide it in a place very dear to me. Regardless of what was originally planned, I do love those episodes and "Children of the dark" and every other episode with Morgan and children. I am not complaining. I was just pointing out it could have been an even more intense and very different storyline had they not changed it (which I do believe they have) because AJ was fired. I know this isn't the thread to say this but I just read that 7/20 is another Morgan episode. I am not anti Morgan but it seems that the episodes are simply not evenly distributed anymore. I know. I am not looking forward to yet another Morgan episode, especially since we just had one. Off the top of my head, a couple: Profiler, Profiled; Big Sea; Longest Night (Part 2); Foundations; The Eyes Have It. I know there are others, but the more recent ones come to mind first. Maybe you should actually read what I said, which is that there are more, I just wasn't bothering to go back and remember. Morgan episodes really aren't worth it IMO. Besides, even if it WAS only 5 or 6 episodes, they still mean Morgan episodes = boring episodes. So no, not harsh. It's a pattern. 7/20 turned out to be a GREAT Morgan episode!